Built specifically for Goalies. This is the best way to improve cradling, switching hands, and overall ball control. Cradlebaby increases training time and repetitions by allowing you to practice indoors or out, anytime. Lacrosse balls are heavy and have the tendency to damage breakable objects. Built specifically for Goalies. This is the best way to improve cradling, switching hands, and overall ball control. 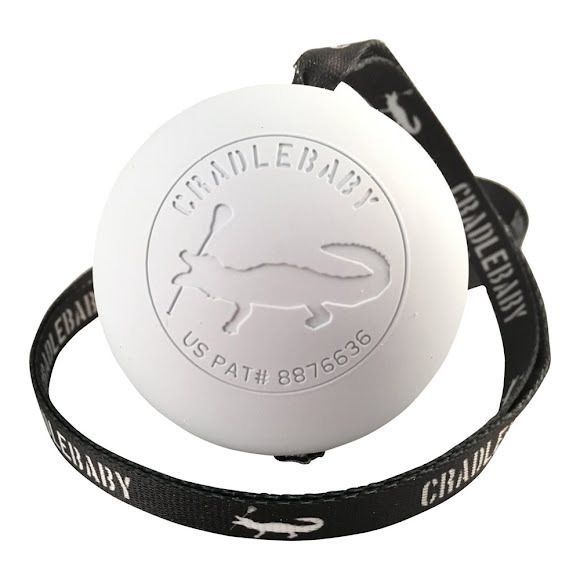 Cradlebaby increases training time and repetitions by allowing you to practice indoors or out, anytime. Lacrosse balls are heavy and have the tendency to damage breakable objects. The Cradlebaby keeps the ball tethered to the stick, ensuring that the ball will not inadvertently go flying through the air. Stopping the ball is one thing but with the clock ticking on the clear can your goalie manage the ball. All too often great saves are wasted by poor stick skills. A Goalie Cradlebaby provides an easy and fun for your keeper to practice ball control, cradling, switches, dodges, fakes and clearing passes without having to chase the ball. Lacrosse techniques can now be safely practiced indoors, so you won&apos;t be limited by inclement weather or darkness.